Igloo soft-sided collapsible deluxe cooler with 24 can capacity. 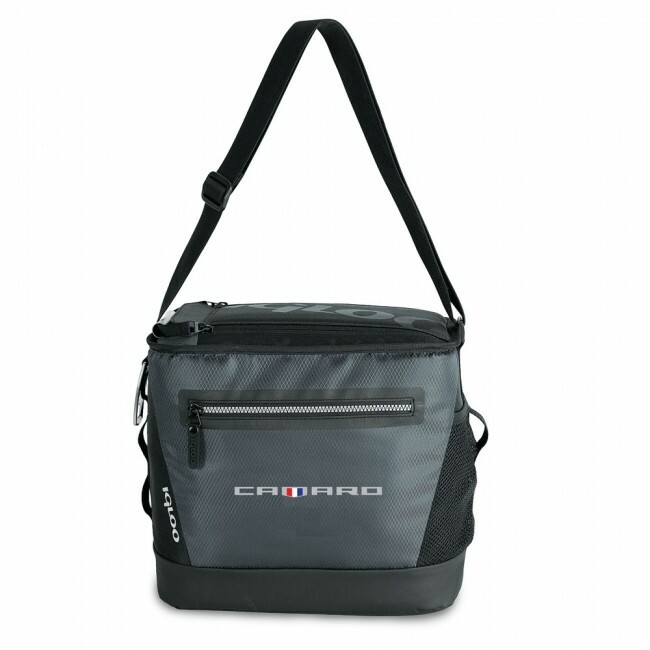 Featuring enhanced insulation, leak-resistant antimicrobial liner, dual-zippered opening at the top and a folding lid with a Velcro® fastener. 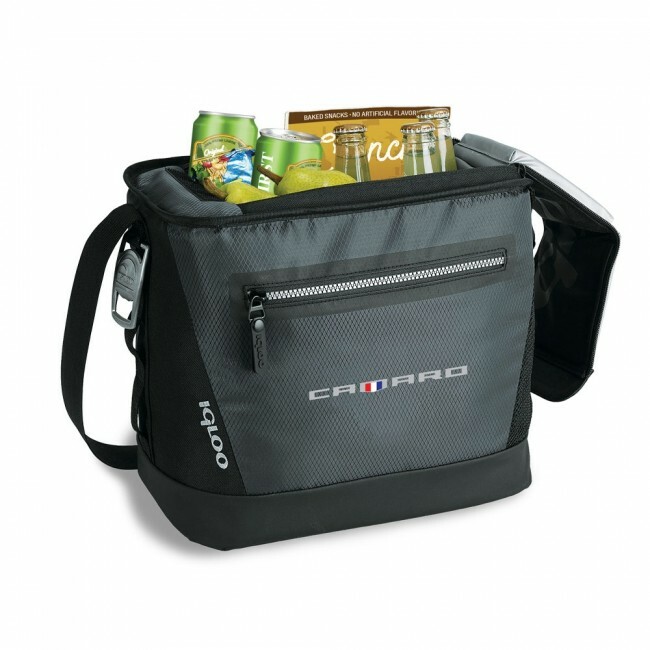 Front zippered pocket, side mesh pocket, side storage loops, adjustable shoulder strap and attached Igloo metal bottle opener. Gunmetal Gray. 12"L x 10.5"H x 8"W.